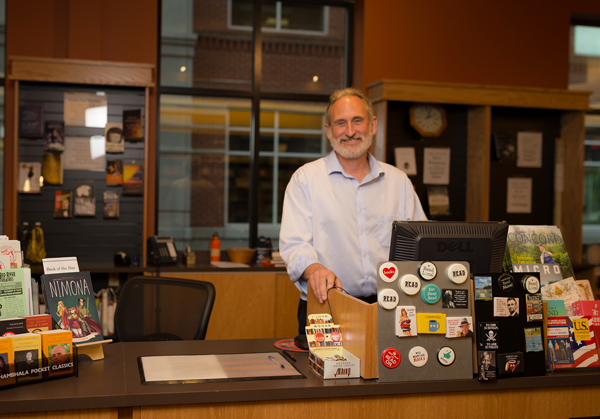 Michael bought Gibson’s Bookstore in 1994 and has expanded it twice to meet the needs of readers. He enjoys literary fiction, well-written commercial fiction and thrillers, and books on politics and history. One of the best science fiction novels to come out in the past 10 years--- also one of the best novels of time travel, detective work, and horror. Just out in paperback. … There are many possible versions of our future, and one of them holds the key to solving the murder of a Navy SEAL’s family--but all of them suddenly contain the Terminus--the cataclysmic end of humanity itself, looming ever closer. “Inception meets True Detective,” says the New Yorker. You know a novel is great when you discover something new and amazing every time you read it. Still has the power to shock after 55 years — one of the immortal literary achievements of the 20th century. Cormac McCarthy, like Melville before him, investigates evil, human frailty, and fate, here in a story of death and destruction in the old west. Based (believe it or not) on a true story. Hard to imagine a more timely book!